Karen Khachanov became the third different first-time winner of a Masters tournament this year - joining Juan Martin del Potro and John Isner. 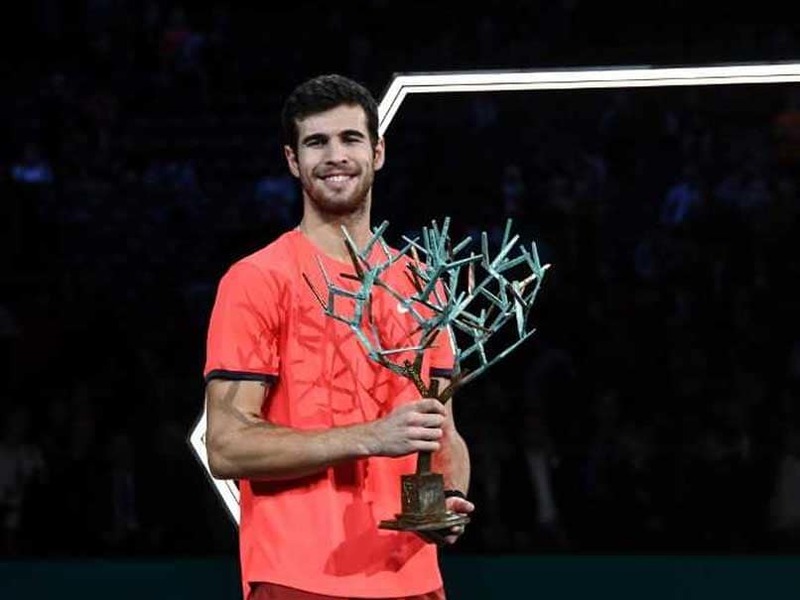 Russia's Karen Khachanov clinched the biggest win of his career on Sunday with a 7-5, 6-4 upset of Novak Djokovic to claim the Paris Masters title. Khachanov became the third different first-time winner of a Masters tournament this year -- joining Juan Martin del Potro and John Isner -- and denied Djokovic the fourth title in a row ahead of his return to world number one on Monday. "To finish the season like this is really a dream come true," said Khachanov, who will rise to a career-high of 12th when the latest rankings are published on Monday. Going into the event, Khachanov had won just three of 19 encounters against players in the top 10 but claimed a fourth such scalp in a week after snapping Djokovic's 22-match winning run. 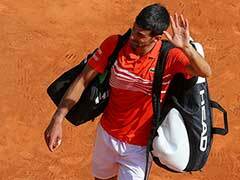 "Karen played really well and he deserved to win that match," said Djokovic, admitting he had struggled to fully recover after overcoming Roger Federer in Saturday's pulsating semi-final. "I didn't unfortunately. But I don't want to talk about that. I want to talk about how well he (Khachanov) played all week. "All the credit to him. He deserves it. He's a young player up and coming. But the already established player, top player. And he showed great quality today and he showed why we're going to see a lot of him in the future." 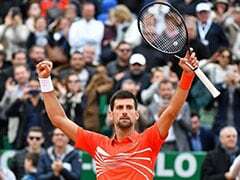 Djokovic, who will reclaim the top ranking from Rafael Nadal for the first time in two years, made a strong start in his pursuit of a record-equalling 33rd Masters title as he broke for a 3-1 lead in the opening set. 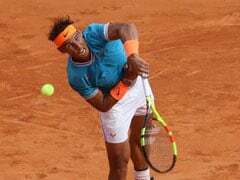 But world number 18 Khachanov, a winner at the Kremlin Cup in Moscow last month, hit back in the very next game as Djokovic dragged a forehand into the tramlines, down break point. The unseeded Russian then broke Djokovic for a 6-5 lead, momentarily faltering as he tried to serve out for the set before calmly regrouping to surge ahead. 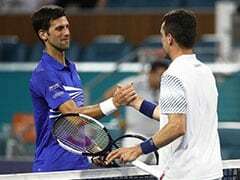 Djokovic outlasted Federer in an energy-sapping classic that lasted over three hours on Saturday, and the Serb began to look weary as he dropped serve to a fall behind early in the second set. The 1.98m Khachanov secured a break for 2-1 with a crunching backhand pass down the line that Djokovic could only net on the half-volley. The 14-time Grand Slam champion showed trademark resilience to fend off three break points while trailing 4-2, but Khachanov displayed steely composure to seal a memorable victory after an hour and 37 minutes. 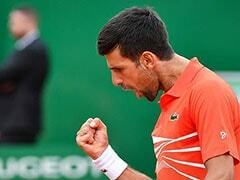 He is the first Russian to win a Masters title since Nikolay Davydenko in 2009.